Most people are not aware of the ability to purchase a home and NEVER have a monthly mortgage payment. In retirement your expenses are to be less so you can have a higher retirement survivability. So why am I telling all of this? Empty-nester’s who own the home free and clear but it is too much house to upkeep. In each of these situations a HECM for Purchase (H4P) would bring relief. Using a H4P loan would give them the benefit of only paying the property taxes, Homeowner’s insurance, and Homeowner’s Association fee (if applicable). Just like an all cash buyer they have NO monthly mortgage payment and the same expense/responsibilities. If this is you, contact me. For Example, the empty-nester is a Texas Borrower who receives $410,000 in sales proceeds. They want a home with room for holiday gathering and grandkids. Using the chart below, if this was buyer 65 years old they could purchase a home with a $450,000 sale price and have a onetime total out of pocket payment of $264,000. This would leave them with $146,000 in liquid cash and a new home without a monthly mortgage payment for life. Your personal situation may be one of these examples or not, but it is undeniable that an HECM loan is a versatile retirement tool. Find a home/make an offer/send over the executed Residential Purchase Agreement/Contract. The seller is not allowed to pay any fee, closing cost or prepaid on behalf of the buyer. Most notably, the following items are NOT allowed to be paid by the seller unless required by local/state law or typically required in the area. 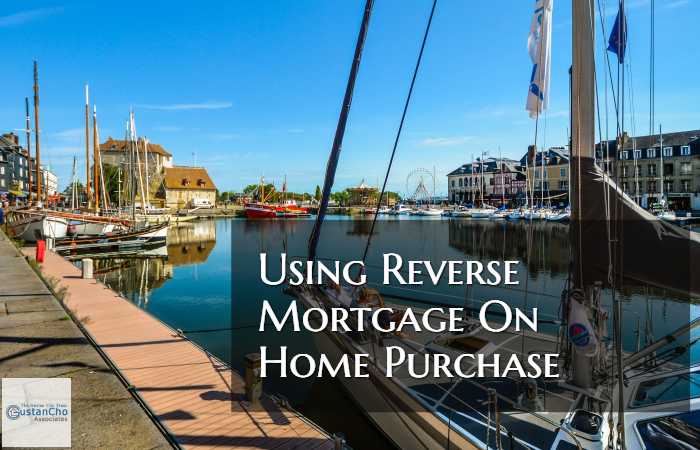 Quiana Williams is the author of this blog on Using Reverse Mortgage On Home Purchase. Quiana Williams is a senior mortgage banker with Gustan Cho Associates Mortgage Group at Loan Cabin Inc. who is an expert on reverse mortgages. Quiana is also a writer for Gustan Cho Associates Mortgage News and an Expert on GCA Q& A Forum. Besides being a reverse mortgage expert for Gustan Cho Associates Mortgage Group, Quiana Williams is also an expert on all government and conventional loans. Contact Quiana Williams at (760)440-8844 or text her for faster response.